Trans Orange Lines Limited (TOLL) was incorporated in June, 2017 to undertake the Orange Line Project. 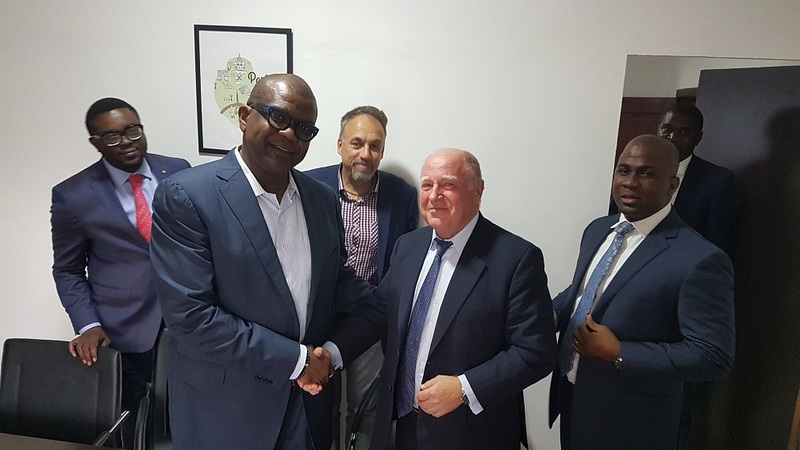 The Orange Line Project involves the development and operation of the 48km Orange Line of the Lagos Railway Corridor on a Build, Operate and Transfer Basis with the Lagos State Government. The Railway will be constructed by an internationally renowned Engineering Company who will undertake the EPC Contract and partner with the Operator of the Railways for an initial period to ensure technology transfer is achieved. The Project Cost of c. $1.5BN is envisaged to be funded by long term export credit finance, institutional investors, Strategic Investors and the Lagos State Government. Lagos State Government is expected to provide a conducive investment atmosphere and the facilitation of right of way, regulatory requirements and stakeholder engagements. Creation of employment for over 2,000 Nigerians during Construction period and over 3,000 Nigerians Directly and Indirectly after Construction. Reduction of traffic congestion along the routes thereby easing movements of people & goods and create an alternative to road usage thereby ensuring the longevity of the roads and capital cost savings. Stimulation of economic growth around the Route by creating more jobs and enabling more productivity from workers. 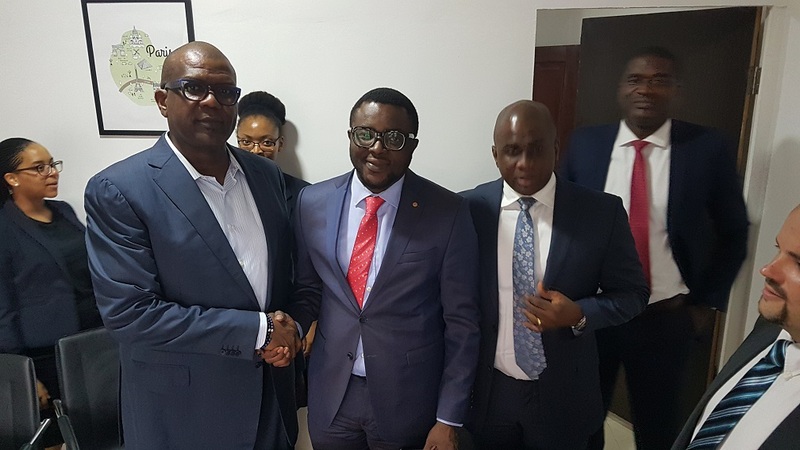 Decongestion of the Central Business District as some of its residents can now conveniently live on the outskirts of Lagos and work within Lagos. Enable the churches around the Route like RCCG to be able to attract more people to their weekly/yearly programs due to easier and faster mode of transportation and prevent the periodic traffic congestion issues. IAF Capital Limited is a 25 year old Corporate Finance and Investment Management Company incorporated in the United Kingdom. IAF Capital is authorised and regulated by the Financial Conduct Authority of the United Kingdom. IAF Capital has a strong African-focused practice boasting an extensive network throughout Sub-Saharan Africa and works across all sectors but with a particular focus on infrastructure, energy and technology. IAF Capital has offices in Nairobi, Kenya and Sierra Leone, Freetown. IAF Capital has been appointed by the Project Sponsors as the Lead Finance Arranger and Advisor on the Orange Line Project. Sage Grey Limited is an Advisory and Finance Solutions Firm incorporated in Nigeria. Sage-Grey operates from Nigeria while maintaining an International Outlook, expertise and network. The Sage-Grey team has extensive multinational and multi cultural financial services experience which is leveraged to ensure that the Company offers the best services which are not only consistent with Nigerian and African expectations, regulations and landscape; but are consistent with world best practices. Sage-Grey Limited is affiliated with several Finance Institutions in the United Kingdom, West Africa and Asia. CPCS is a global consultancy firm specializing in infrastructure development advisory services in transport, power and PPP. The Company has its headquarters in Canada with 15 offices in 12 countries including Nigeria. Along with its engineering partner, Aurecon, CPCS provides technical advisory services from project inception and feasibility, through to final testing, commissioning, and into service of an operational asset. 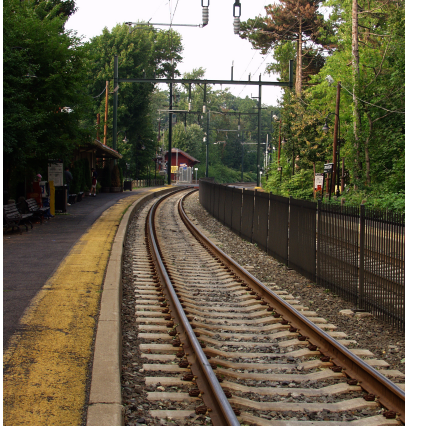 CPCS has provided feasibility studies, project management, design and supervision services for multiple railway lines varying between 30 and 2000km in distance. IAF Capital is a 25 year old Corporate Finance and Investment Management Company incorporated in the United Kingdom. IAF Capital has a strong Africa Focus with offices in Freetown, Sierra Leone and Nairobi, Kenya IAF Capital is authorised and regulated by the Financial Conduct Authority in the UK. Sage Grey is a Finance and Advisory Firm incorporated in Nigeria. The company specialises in finance advisory and fund raising for infrastructure projects, oil & gas and financial institutions. Simmons Cooper Partners is a law firm consistently ranked in the top-tier of Nigerian firms with expertise spanning a wide range of competencies including public sector and regulatory, private equity & venture capital, infrastructure development and project finance, foreign investment& international finance and real estate, multinationals and governments. Mr George-Taylor is a Nigerian Citizen with over 25 years experience in the banking industry and proven success in managing multi billion Naira operations. He was an executive Director at the prestigious Guaranty Trust Bank Plc ( GTBank) where he headed the Public Sector Group, Abuja & North Central Division. Mr George-Taylor is the Chief Executive Officer/ Managing Director of TOLL. Mr Runsewe has over a decade experience in the Financial Services sector. Prior to Sage Grey, he worked as a Managing Director of First Asset Limited. First Asset Limited is a Finance, Advisory and Research Company registered in Sierra Leone. First Asset Limted also offers Finance products such as Project Finance and Asset Finance. 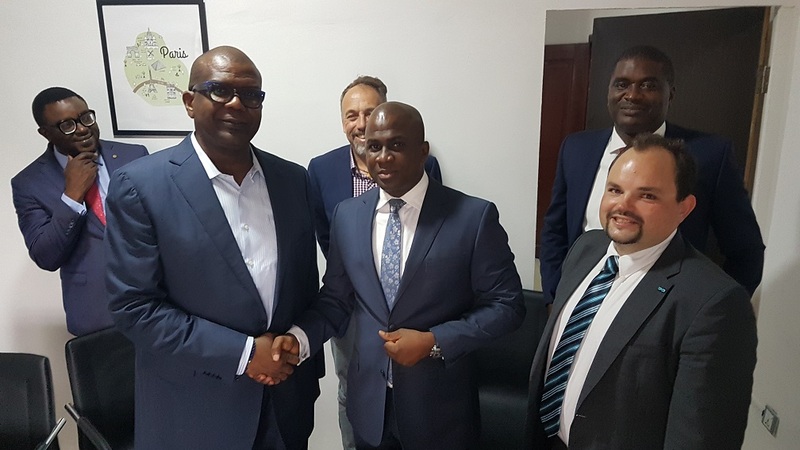 Under his leadership, the company offered Advisory services to Commercial Banks, Mining Companies and to Foreign Investors operating or proposing to operate in West Africa. 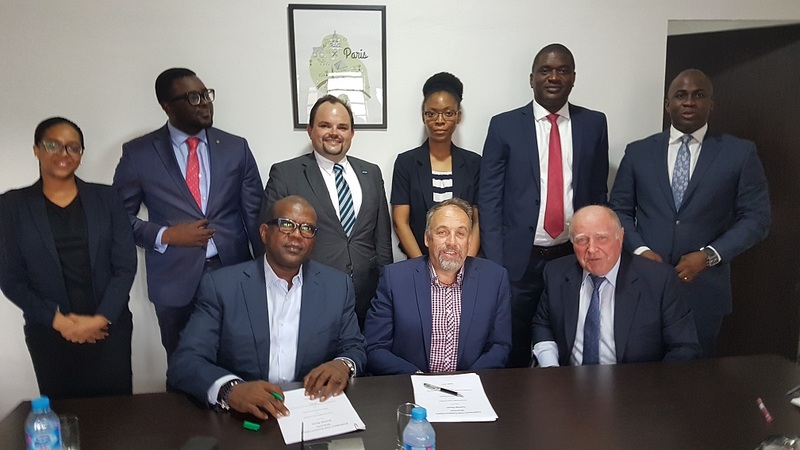 First Asset Limited has worked with several investors and has successfully raised over $300 Million for several clients in West Africa mostly in Sierra Leone, Nigeria and Liberia. While at Guaranty Trust Bank, Mr. Runsewe headed several groups and teams in the bank’s subsidiary including Corporate Banking, Commercial Banking and Mining. He has extensive skills in marketing, budgeting, negotiations, team management and portfolio management. He also worked at Vigzit Benet Leasing Nigeria where he left as the Head of Product development. He has a B.Sc. Surveying and Geoinformatics Engineering (University of Lagos), MBA. (University of Wales, UK) and M.A Development Management (University of Sierra Leone). Amongst other boards in which he sits, Mr. Runsewe is also on the board of Directors of First Asset Limited, Aristotle Services Limited and Balaah Hope Initiative (a Non-Governmental Organization focused on Social Issues of the girl child). Address: Plot 215A, House B, Etim Inyang Crescent, Victoria Island, Lagos, Nigeria. 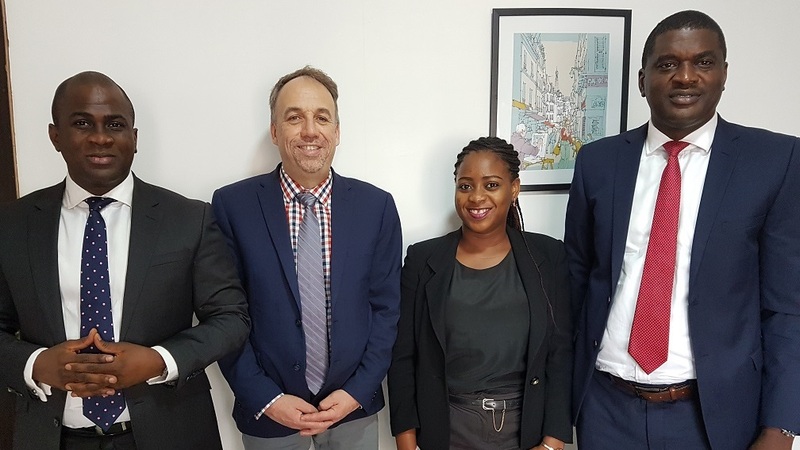 L-R (Temitope Runsewe (Managing Director, Sage Grey Limited), George Kaulbeck (Director of Transport, CPCS Transom Limited), Chigozie Ugwunna (Legal & Research Analyst, Sage Grey) and Humphrey Uzoh ( Executive Director, Sage Grey). On 14th June 2017, Trans Orange Lines Limited Executed a Technical Advisory Contract With CPCS Transcom Limited for the Orange Line Project.